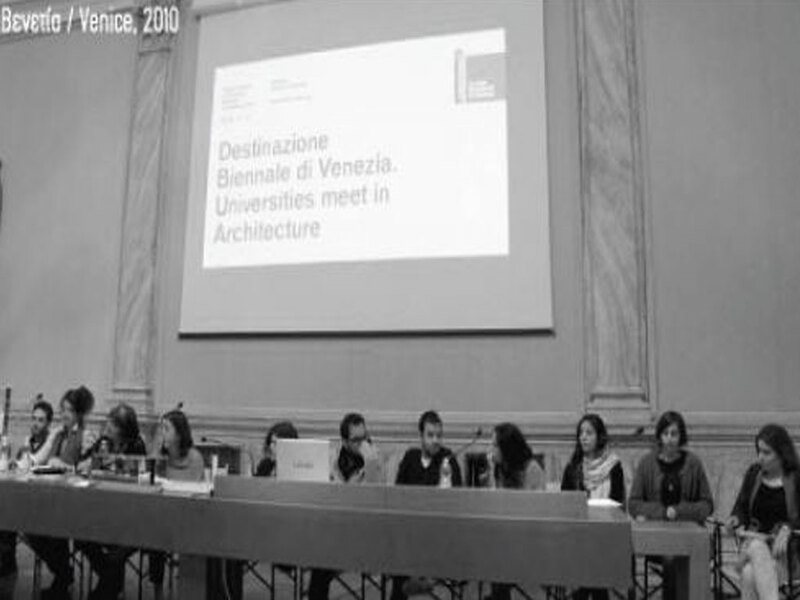 The "Universities meet in architecture" worskhop was organised during the 12th International Architecture Exhibition, Biennale Di Venezia | People meet in architecture. 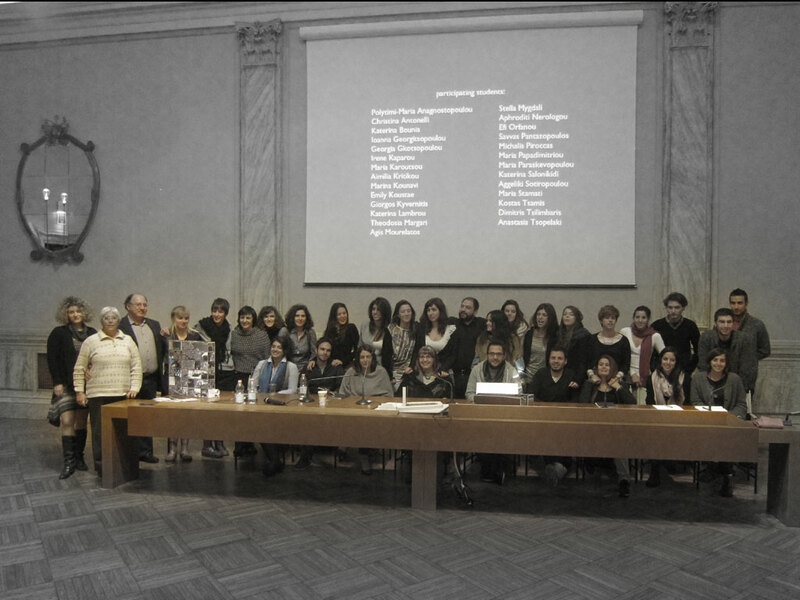 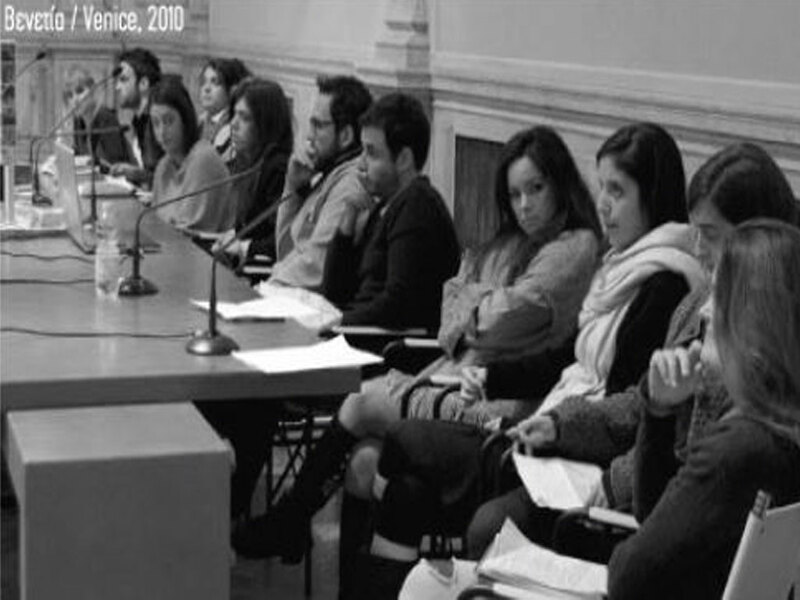 Department of Architecture, University of Patras took part along with many other Universities. 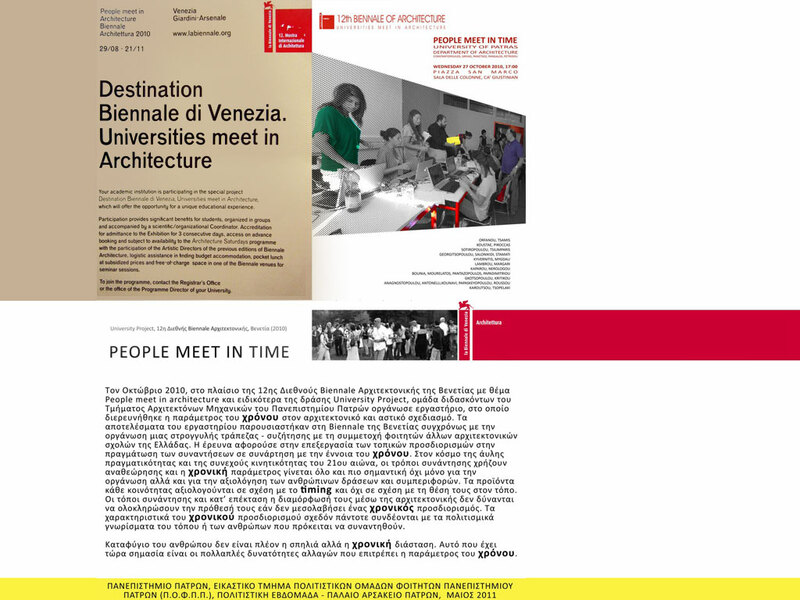 "Time & Place of Meeting"
where the parameter of time is investigated in the architectural and urban design.